Since 1968, we have worked with local partners in India to provide our holistic child development program for children in poverty. 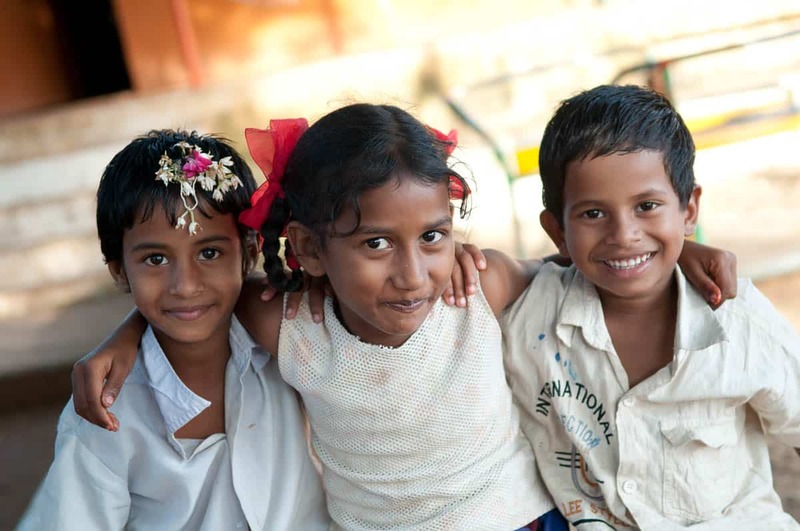 Our 510 partners in East and South India support more than 145,000 babies, children and young adults. But due to the government of India’s decision to restrict Compassion’s funds from reaching our partners this year, many of our child development centers in India are at risk of permanent closure … leaving some of the most vulnerable of India’s population even more vulnerable. If a resolution with the Indian government isn’t found soon, our program there may halt altogether. But your voice could help us work toward a solution. 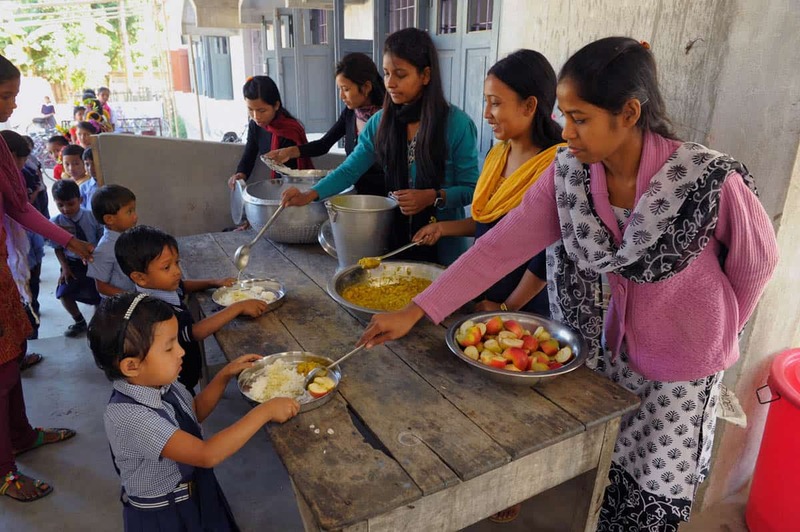 Compassion child development center staff in India serve a nutritious meal to the children enrolled there. In 2011, the Indian government made significant changes to the Foreign Contribution Regulation Act (FCRA), which is the law that regulates NGOs’ receipt of foreign funds into the country. These revisions allowed the government to restrict NGOs whose purpose differs from India’s political ideology. This means the Indian government can restrict Christian NGO activity if they feel it threatens their national interest. We have always worked within the confines of Indian law to provide our Child Sponsorship Program, Child Survival Program and Leadership Development Program through existing local partners. In all 26 countries in which we work, we make some adjustments to our program to ensure compliance with local laws. 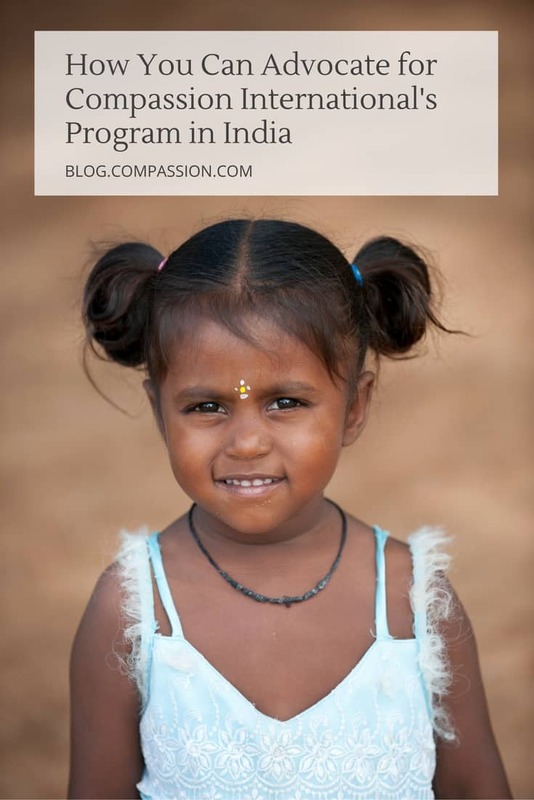 Children enrolled in Compassion’s Child Sponsorship Program in India. In February of this year, the Indian government issued an order against Compassion requiring prior clearance from the government before funds could be transferred to all our partners in India. After months of unsuccessfully trying to obtain prior clearance, we have concluded that the clearance process is fiction. We have never been offered an explanation for this action in the nine months since the order was issued. Many of our local partners were still able to continue program activities but dozens are operating at a limited capacity. They cut back on things like the number of days the child development centers operated, serving snacks instead of full meals, and running abbreviated programs. But as of today, many of our remaining partners in India have run out of funds entirely and don’t have the benefit of our financial support and resources for their ongoing child development efforts. We have been working closely with the Indian and U.S. governments and have respectfully complied with all requests from the Indian government. Additionally, U.S. Secretary of State John Kerry spoke on our behalf with a key official in India. However, the restriction on our funds remains in place. If a resolution is not reached soon, we will no longer be able to fund the child development centers operating in India. The ripple effect would not only impact the lives of more than 130,000 babies, children and young adults but also the lives of their family members and their communities. A mother in India plays with her little one who is enrolled in Compassion’s Child Survival Program. We have pursued every possible conversation with government officials in hopes of protecting our work, our local partners and the children and their families. And now we’d like to ask you, our partners as sponsors, donors and child advocates, to lend your strong voice to the conversation! On Dec. 6, the Foreign Affairs Committee of the U.S. House of Representatives will hear testimony from Compassion about the situation with the Indian government. Will you join us in our effort to ensure that America’s lawmakers are aware of the risks posed to the 130,000 children if we can no longer operate in India? 1. Send a Letter to Your Congressperson. It’s simple. Just click the link below that has a pre-drafted letter from you to your state’s representative. All you need to do is sign the letter, enter your email, address and ZIP code, and hit submit. The letter includes an opportunity for you to add your own personalized message if you so choose. Email this letter to your congressperson today! 2. Raise Awareness on Social Media. Share this blog to your own social media channels via the buttons at the bottom or top of this post. 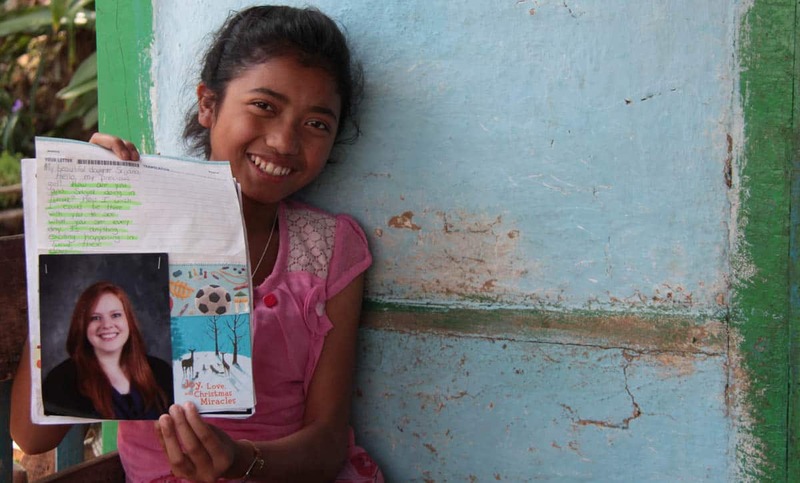 A young girl who participates in Compassion’s Child Sponsorship Program proudly shares a letter from her sponsor. Imagine the impact we could have if everyone who sponsors and advocates for children would speak up on their behalf! You have been so generous in releasing children from poverty with us. And we hope we can count on you to act now and let the U.S. government know before Dec. 6 how passionately you support children in extreme poverty. Prev Post:What Does the Bible Say About Giving?Next Post:Thank You for Advocating for Children in Poverty in India! These sweet God devoted children have more passion and strength than we could ever imagine. 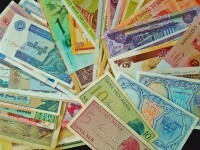 We as sinners tend to judge others by looks and money, though it is God’s calling to not do as such. I believe that these children will keep their faith, love, and hope for a better future in their hearts. God will deliver these children away from harm, while we keep their spirits in our hearts as a reminder of the grace and love of God, and how blessed he has made us in our life. I will be praying for these heart-filled children in India, but I feel my trust and yours towards God will continue to help these poor children even though others do not understand the joy these children get from receiving our letters and prayers. The power of prayer can and will change this situation. Please pray daily for this poor country that needs the love of Christ. God is bigger than any rulers or principalities. Do not lose heart but know we serve a Sovereign God. He will not turn his back on the children and people of India. I believe he is establishing and exercising the faithful hearts to grow stronger and for them to experience miracles through their belief. My heart cries out for them to continue to trust, and have faith in Jesus and to truly know and stand on His character. He will not fail them but will continue to love them. Great is our God! Pray for those in need of strength, pray for those in need of encouragement, Pray for those to not lose heart but to stand firm. In Jesus name, Amen. If I am understanding this situation correctly, between this blog and the news articles I have read online, some of the local centers that Compassion works with are non registered NGOs, and some are registered….is that correct? If that is the case, is there a backup plan to revamp the India program to only include registered local NGOs, so that the government will allow the funding to come into their country? If not, is it possible that those whose sponsored children are supported by a registered NGO could somehow donate to those centers directly? I understand that ultimately, Compassion should remain in the loop, but for those of us who have sponsored children in India for years, I am wondering if there is not some way we can at least help our kids finish out their schooling. This is so disheartening. Thank you very much for your communication on this. Leanne, first please be cautious with the sources where you receive information. There are many articles about this situation that are very biased or have false information entirely. We register each of our centers as an NGO in India. They all had proper registration and paperwork with the government of India. We have also been counseled by both Indian and American lawyers who have assured us that we have not broken any laws. The government of India has not given us any reason for the restrictions they have placed on our organization. Each of our centers are separate NGO’s that will continue, even if we have to close our offices in India. Regrettably, it is problematic legally to encourage donors to give directly to these NGO’s without the oversight and guarantee from Compassion. We are grieving this whole situation deeply and still praying for a miracle in regards to this. Thank you, Susan. I realize that many of the articles may be slanted. However, I have read several different sources that discussed the different NGO categories in India, so was just trying to understand the status of some of Compassion’s affiliates. Thank you for clarifying that all of the NGOs are registered. I have no concerns about Compassion’s integrity. The question was more around how to get around the bogus red tape to help the students be able to finish out school, see doctors, etc. This situation is such a heartbreak. How long will letters be accepted and get to the children in india? Nora, it is with a heavy heart that I tell you that we cannot guarantee your letters will reach your precious child. Due to the limited operations of programs and a lack of funds available at the country level, we are unable to deliver letters to children at this time. However, you are definitely welcome to write and, should a resolution be found, letters will be delivered when possible. I’m so sorry as I know it is tough to not know if you can say goodbye or not. Our hearts are breaking with this whole situation. We are still hoping and praying for a miracle and that God will come through at the last moment. That said, even if God doesn’t, we know that God is in control and will bring good from this situation. We have to be realistic and honest with you that there is very little hope, and we are making plans to close our offices in India as of March if nothing changes. We cannot thank you enough for your prayers and support. We are very concerned for our two sponsored girls in India. We have sponsored Mamatha since Oct,27, 2010. She is 20 and going to college to become a “Lecturer”. We are concerned that this situation will interfere with her education. We have sponsored Parvathi for 11 years, starting right after her mother died. She is 18 now. How sad if these wonderful girls can’t finish school because of this problem. My sponsored child is 16, is she aware of what is going on? Can we still communicate with her? If so, until when? (Will the ability to do so be cut off eventually?) What can we say to them about this situation, or should we say nothing? I don’t want her thinking we adanded her. Please advise! My heart is broken over losing my precious girl’s support, we have been with her since she was 8. She is an important part of our family and has grown up with my children. Hi Karrie! We are so grieved by this whole situation. The staff in India are explaining in the most age and culturally appropriate way. While you are welcome to mention the situation in your letters, I would advise against it as it may cause confusion. You are welcome to write a letter and say goodbye if you would like though. Are we past hope since the Dec. 6th date has come and gone and since the January 13, 2017 update posted on the bottom of the blog post? Should there still be a push to contact our U.S. representatives? Hannah, thank you so much for contacting us with your question! Our hearts are broken that Compassion will likely be closing its doors in India on March 15, but we are continuing to do everything we can to resolve the issues in order to continue. We don’t have an update for sponsors since that January 13th update, but we will notify sponsors once we do. Please continue to pray for Compassion’s efforts. You are also welcome to continue contacting your representative in support of our ministry. …… it was affected the education of our children and the families are suffering very much. It leads to the drop out of the children and the Govt. not hear the voice of the voiceless (Dalith ) people. It is essential to the intervention of the world. I received an email from my Congressman David Young today, which I share below. Compassion, is there any news about the situation in India? Please share here and on Facebook when you have news. I will keep praying for the children in India. Thank you for sharing your support for the work Compassion International is doing in India and your concern with the Indian government’s restriction on foreign funding. I’m glad to hear from you. I’m also concerned with this restriction of funding – no government should stand in the way of the charitable works done by well intentioned organizations. Although some restrictions were lifted in October 2016, many organizations are still unable to access funding from Compassion International. You may be glad to know, the U.S. House Foreign Affairs Committee conducted a hearing on this issue on December 6, 2016 and know I’ll continue working to support a more welcoming environment for proven NGOs around the world. Thanks again for reaching out and sharing your views. I’ll keep our shared concerns in mind as I continue working in the U.S. House of Representatives to find more effective and efficient ways to provide assistance to the world’s most vulnerable. I hope to hear from you again. Sonja, thank you for advocating for the children of India by contacting your Congress person. Regrettably, we do not have any updates to share right at this moment. We will be sharing an update soon and it will likely be listed here on this blog as well. Stay tuned! We would pray and wait for His work patiently. Compassion in Indian family is fearing and fretting about their future.If the benefits are obtained by this Govt,let it this Indian Govt will take the responsibility to provide their adequate needs like healthy food,comfortable clothes,Education of compete with this society.We are strongly oppose that ban of Compassion in India. It is the violation of the human rights. Because most of the beneficiaries belong to DALIT community. God is merciful. He will help our children in India. Let’s pray and have faith. How can I find out if my child is in a center still receiving funds? Hi Catherine! Please email us at socialmedia@compassion.com for more information on your child. Thanks! Thank you for letting me know of the Indian government’s actions against Compassion International. As you know, Compassion International has more than 136,000 children participating in 570 child development centers across India. Recently, India’s Ministry of Home Affairs placed Compassion International on its “prior permission” watch list, which has effectively halted the disbursement of aid to its centers. I believe it’s vital that all children, especially those most vulnerable, have every opportunity to reach their full potential. You can be sure that I will keep your views in mind if there are opportunities to address this issue as part of the ongoing dialogue between the U.S. and Indian governments. Today is Dec. 9, 2016 and I am finding out about all of the problems in India. I am wondering what I can do now, despite the deadline of Dec. 6, 2016 in writing to our Congressman/woman. What would you suggest? I am heartbroken to hear about the children losing out on their education, food, and opportunities to learn more about Jesus. Could you please tell me what I can do to help? Thank you. Would there be a way to draw in awareness to this situation (and perhaps other situations around the world) at Compassion Sunday? It is just a thought. Thank you for any ideas. Of course, I will be praying for India and the programs and children there. Hi Mary! We so appreciate your heart to advocate and support us! While the hearing date has passed with the Foreign Affairs Committee, you are still welcome to contact your congress person as we are continuing discussions and hoping for a resolution with the Indian government soon. You are welcome to also mention this issue at your Compassion Sunday, if you have the opportunity. Thanks again for your help! God is going to settle this problem very soon because our God is living God. Let us have faith in GOD , faith in Compassion Leadership. Very soon the situation will change and we will be able to overcome the hindrances when Almighty God intervenes on behalf of the Poor and helpless Children in India. This is very disappointing, it’s better not to fall in the hands of God by starving and blocking poor children and their future. Let’s pray and God will shake foundations. I visited a compassion project in 2010 and saw the results of the work they do there in that village. This moved my heart for the children and prayed to GOD to help me to help more children. In 2014 I visited another project in a very remote and dangerous area. Children in that project get daily meals, education help and spiritual nourishment’s. So sad to hear 130,000 children are going to loose this support in INDIA. Hello Atasi, our hearts go out to you and your family. Please email us at socialmedia@compassion.com to learn more about how we may be able to help you. Thank you! I have been involved with compassion as a volunteer and have seen young lives transform . my heart aches to know how the Indian govt. is creating a barrier in Compassion’s operation . Help in funding poor children. It effected their education,health and hygiene. I am a sponsor to a Compassion child and this is the first I have heard of this. She goes to Pakyong Child Center for her activities. Kathleen, I am deeply sorry that you have not received our prior communications about the restrictions in India and whether or not this has affected your sponsorship of your sweet child. I will look into this further for you, and then I will send you an email with detailed information. Thank you so much for all of your prayers and support! God bless you. Thank you so much for providing this opportunity to advocate! I sponsor a teenager named Chetan and through our letters have learned of his hopes and dreams. 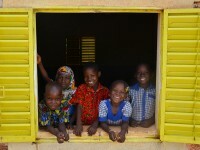 These are precious hopes of an education and a future. I’m writing to my elected official and continue to pray! This is pathetic situations brought by BJP in India who never have their hearts for needy Children in India. Because this poor children are not in their family members therefore they misbehaving through political ways. I am neither a U.S. Citizen so I may implore any congressperson nor active in SNS, but what I know I am capable of, I will. A man is powerful on his knees, especially when we pray for His will to be done on earth. Please help our children. We l our love our country. Standing with Compassion for a breakthrough in this situation & that all children and centers impacted will reopen in an even mightier way. Hi Christine! Thank you so much for your prayers and support! I am an alumni of compassion India. Please let me know how I can advocate for compassion program in India. Thank you. Hi Esther! I have already responded to your previous comment :). Sharing this blog with your friends to raise awareness is a great way to advocate for us. Thank you for all your prayers!! Hi Esther! Thank you so much for your heart to help advocate for Compassion in India! I encourage you to share this blog with your friends or on social media to raise awareness :). 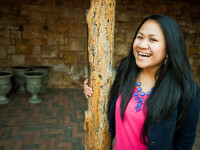 I also encourage you to share your story as an alumni of Compassion. Your testimony is powerful, and we trust God to show you how to use your story to help others in need. God bless you! Please allow foreign cash to lift needy childrens. Ida, thank you so much for your prayers and support. We are so grateful for sponsors like you who have been caring for your sweet child for many years. God bless you! Does this mean that the situation described in a letter from Compassion (dated October 17) has changed? At that time, I believe some centers had received approval and others had not. I just want to clarify facts before I post to social media. Thank you for providing the link to our representatives. Hi Catherine! Thank you for asking! The situation has not changed and that is why we are asking people to contact their representatives. We have been doing our best to respectfully comply with the Indian government while they were investigating our program and had restrictions in place keeping us from disbursing funds to our student centers. While we were waiting for the government to act to give FCRA approval, these centers ran out of money, and regrettably had to close their doors. The more time goes on the more dire the situation becomes. We want to do everything in our power to continue to serve children and families of India who desperately need the support. Thank you for advocating on behalf of the children and families in our program! I have the same question, as I was contacted by phone and I was told the Centre of my sponsored child is on the verge of getting the approval. I think your answer is stating the opposite. So are there Centres that received approval or are on the verge of receiving it? Thank you very much for all your help. Cristina, I apologize for the confusion. We were doing our best to respectfully comply with the Indian government while they were investigating our program and had restrictions in place keeping us from disbursing funds to our student centers. Regrettably, the other partners who did not receive approval have already been closed. While we were waiting for the government to act, these centers ran out of money and regrettably had to close their doors. Thankfully, if you have not heard from us otherwise, your child’s center is one of the child centers that have received approval. Regardless of this approval, government restrictions in India are still in place, so we are unable to send funds to the programs that are still open. Your continued prayers and support is much appreciated. God bless you. Thank you for the update! Praying that Compassion can continue to partner with churches in India.